Children Centre Pelekan is the company which elaborates exclusive programs for family rest with kids in the most beautiful places of our planet. With great pleasure we are doing everything for your lightsome, useful and interesting rest with kids. We plan your vacation so carefully that your rest will be as comfortable and interesting as possible for the whole family. Plan your holiday with the Children Centre Pelekan and you will have the reliable partner, the program for the rest, entertainment and development well-thought-out by the experts. We’ll take care of everything. Even of the things you’ve never suspected when the first time planned the rest with the children. We know all the Pelekan’s children’s names. New children have born on our hands and families became bigger and happier. Our specialists will assist you in everything, will offer many interesting occupations for adults and children, in case of need we will provide qualitative and timely medical care for you and your kid. 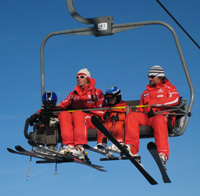 Each season we create new programs and our regular clients are the first to know about them. You love winter! Are you pleased with the weather forecast promising plentiful snowfalls? 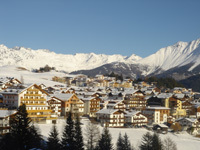 We have chosen for you the warmest, sunniest and the snowiest time in the Alps. 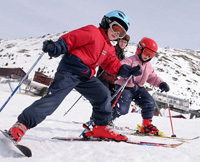 and much more has been prepared by the trained staff of the ski schools to help the little ones playfully get involved in skiing and snowboarding. Even the toddlers (from two-and-a-half) are carefully catered for in the visitors' kindergardens in the hotel. There is an all thought up and thought over Children's hotel St Zeno ****. It is a full safety and comfort for the whole family including the smallest visitors. The Pelican will bring books, toys and all the necessary things. We have added to this resting at the apartments, the professional personnel, children’s menu, occupation with mums and children. Now your family rest on Cyprus can be really comfortable, joyful and carefree. You receive a great many advantages traveling with the small child under the program of the Children's Center Pelekan, because the program, the equipment and the selection of the personnel are initially oriented on parents having a rest with kids. Your children will be surrounded by such care and attention that you can easily rest and devote time to yourself not worrying about your kid. Present yourself the rest with the most important person in your life - with your child. Family rest is the security of your family’s future. Have a rest and enjoy the communication with your children. Pelekan will take care of the rest!